Get to know Colombian coffee country with an exploration of three incomparable and enchanting pueblos. Escape the city and immerse yourself in the beauty of Colombia’s verdant coffee country. Take this opportunity to visit the less traveled and more authentically Colombian destinations. Just south of Medellin lies one of Colombia’s three heritage sites: Jerico. This small but bustling town boasts 17 churches surrounding by acres of coffee country. The town is justifiably proud of its “vaquero” (cowboy) culture, including art, cuisine, music, and architecture. 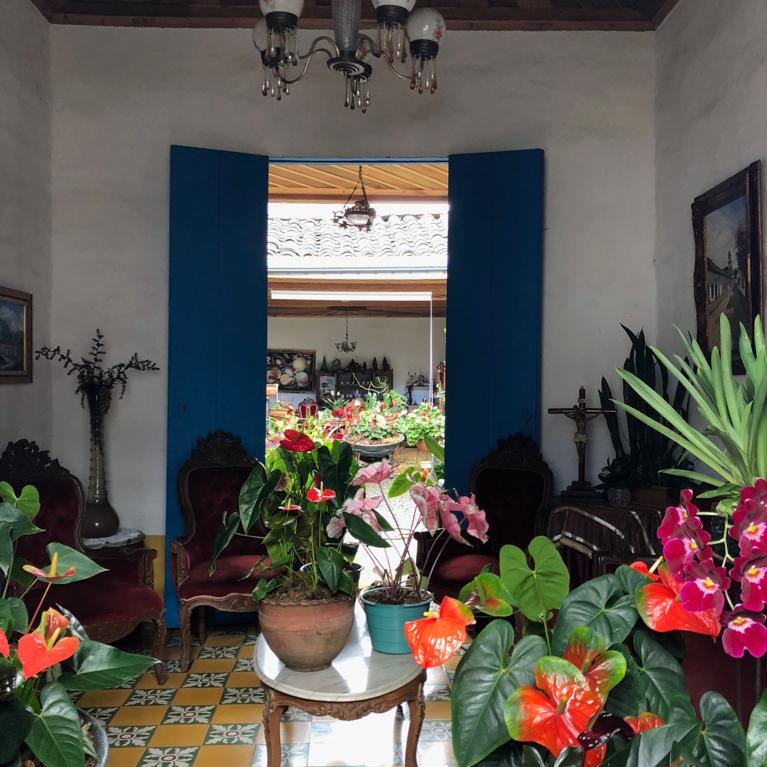 Spend time getting to know the local people as well as its unparalleled landscape via day trips and nearby adventures to waterfalls on foot or by horse, artisan coffee production farms, and a variety of nature preserves, including aviaries. Then head into Salamina where the 200-foot wax palm is king, and finish off the loop in Manizales, the heart of coffee country. Head into Salamina next where the wax palm is king, and finish off in Manizales, the capital - and heart - of coffee country. Enjoy private coffee tasting and sourcing tours, day trips to the capital of coffee country for a different kind of nightlife, and during your last days, revel in a nearby thermal hot springs experience. This trip is customizable. We’ll send you any price updates to reflect your personal interests and are happy to answer any questions you have at no extra cost. Yes, send me a customized quote and sample itinerary! Arrive to Medellin airport and transfer via private transportation to Jerico. Get settled at your accommodation, El Despertar, just a couple of minutes downhill from the central plaza. Finish off the night in the sauna on-site, overlooking the mountainside that embraces this majestic pueblo. Transfer to Salamina and get settled at Casa Hotel Lola. Enjoy your first afternoon in one of just two other patrimonial sites in the Caldas department. Known as the “City of Light” because of the artists that have emerged from here, Salamina is a wonderful, and lesser-known alternative to Salento - and also has photo-worthy wax palm fields to get lost in. Manizales is the capital city of Caldas department, which is one of three regions that make up the Colombian Coffee Triangle. Hacienda Venecia is a working coffee farm with 100 years of tradition. They now share their extensive knowledge of coffee culture - including cultivation, processing, exporting, roasting - with the public. It’s a perfect reflection of the culture. Because of Manizales’ geological proximity to volcanos, it’s surrounded by hot springs and thermal baths. Enjoy a well-earned visit to any numbers of hot springs in the area - from 40 minutes to 2 hours away. Hummingbirds may watch you while you bathe, but they’re not judging. Take a pueblo tour via Tuk Tuk with local guide, the best way - besides horse - to see the town. Meet local business owners, learn about its architecture, and let the pace of life here relax you. Choose another half-day tour in the area to see more, if you’re up for it. Enjoy the sense of authenticity that remains here, due in part to a tranquil tourism industry, as you explore the the nearby national park. Have lunch on-site, learn more about the region’s history and industry, and get ‘lost’ in the beauty with our trusted guide. Eat and walk your way through all the major highlights of Manizales from the cable cars to the famous bakery La Suiza to Plaza Bolivar and the Manizales Cathedral. This cathedral has the tallest church tower in all of Colombia - and wait, there are ways to get to the top for one of the trip’s best photo opportunities yet. Eat dinner in La Zona Rosa and try out a different kind of night life. Choose from a variety of half or full-day excursions like horseback riding, hiking, bird watching, and coffee farm adventures. Learn from “Jericoanos” about working the land and what distinguishes this region’s Arabica beans from other coffee producing regions. Located about an hour from Salamina by jeep, San Felix is refreshingly free of the tourism hustle and bustle. Take photos in the central plaza, enter traditional buildings, take your time while perusing local artisanal goods, and experience gorgeous new perspectives thanks to this genuine town. Enjoy a stroll in El Recinto del Pensamiento Park, a cloud forest park close to downtown Manizales. Explore the butterfly house and local paths that are perfect for bird watchers and orchid enthusiasts. Alternate option: Los Nevados National Park, one of Colombia’s most notable national parks with active volcanos and gorgeous, high-altitude lakes. Trek to the glacier of Santa Isabel if you’re feeling adventurous. Catch your flight back to Medellin or opt for ground transportation which is also available.